220gsm 95% cotton 5% spandex. 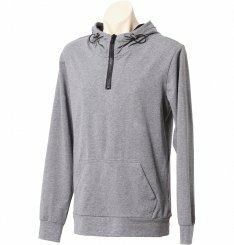 Features half zip, elasticated cord with metal toggles, contrast inner lining inside hood, kangaroo pocket. Available in black/dark grey, charcoal/black or grey/black.